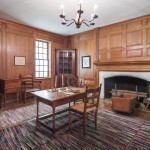 The Gallery houses three rooms that recreate historical eras and settings. 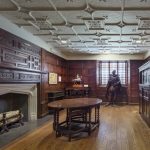 The museum objects preserved and documented by the North Carolina Collection Gallery are quite diverse, with only about ten percent of the collection on display at any given time. Artifacts not on exhibit are maintained in collection areas for study, conservation, and in rotations for changing exhibitions. Oil portraits, ship models, old scientific equipment, personal effects of the original “Siamese twins” Chang and Eng, World War I military gear, and even a plaster death mask of Napoleon Bonaparte (owned originally by the French emperor’s personal physician) can be found here. Although the Gallery collects and preserves an array of artifacts, its current acquisition policy has four concentrations: university history, political memorabilia, natural history, and currency or numismatics. The Gallery oversees an extensive collection of coins and tokens, paper currencies, bonds, stocks, chits, and other money-related material. 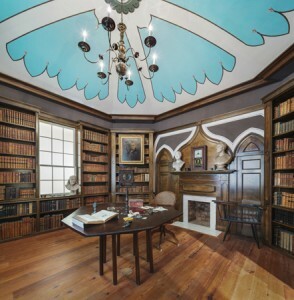 As a result, in recent years the Gallery has become this region’s principal contact for public questions about old currencies. 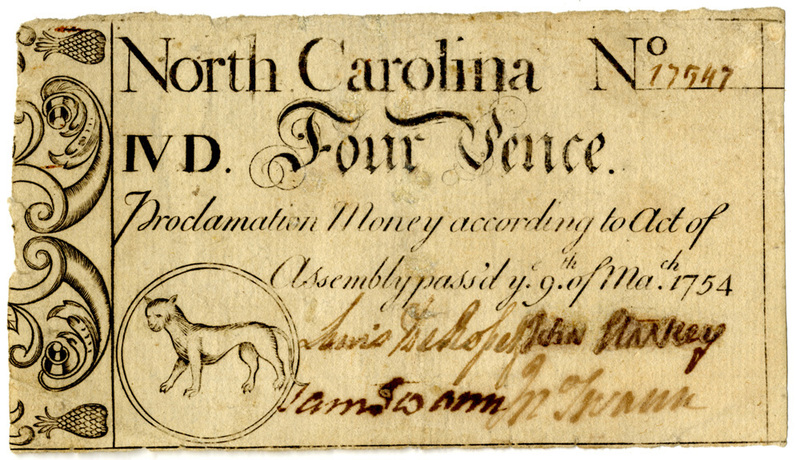 A numismatic endowment has been established in the North Carolina Collection to acquire, preserve, and exhibit numismatic specimens and to assist the department in its efforts to build the finest state currency collection in the nation. Featured web content related to the Gallery’s numismatic holdings includes selected images of some of the notes and coins in our collections; an online collection of historic moneys in the North Carolina Collection from the Colonial era to the Civil War; an article about the Carolina Elephant token, a rare 17th-century coin; and “Civil War America and the Man in the Street” (PDF), an article by Smithsonian numismatics expert Richard Doty about the effects of the Civil War on American currency in the North and the South. The University of North Carolina at Chapel Hill is the oldest operating state university in the nation, opening to students in January 1795. In helping today to preserve UNC’s long history, the Gallery serves as the central repository for artifacts relating to the school’s history. The Gallery now cares for more than 3,000 UNC-related artifacts. 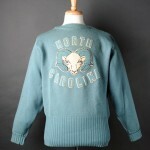 A selection of these is available in the online collection Carolina Keepsakes. People who have objects associated with UNC history and would like to donate them to the school are encouraged to contact the Gallery’s staff. 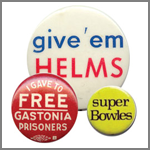 The Gallery actively collects campaign buttons, pins, bumper stickers, and other memorabilia relating to North Carolina’s political history. These objects are documented and used in exhibitions to complement displays of books, articles, newspapers, brochures, posters, and other imprints that record the debates, victories, and losses of various candidates in past generations. The online exhibit “Campaigns and Causes: Political Memorabilia in North Carolina” features a selection of the Gallery’s political memorabilia holdings. The Gallery exhibits and seeks to acquire rare engravings, watercolors, commemorative stamps, collectors’ cards, and other items that illustrate North Carolina’s rich natural history and environmental diversity. 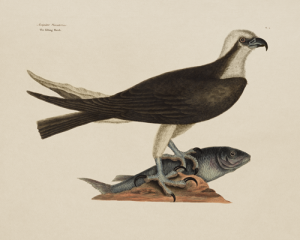 The Gallery also displays selections of other related material in the North Carolina Collection’s holdings, including original eighteenth-century prints by British naturalist Mark Catesby, seventy-six original folios from John James Audubon’s masterwork The Birds of America, and thirteen prints from Aububon’s The Viviparous Quadrupeds of North America. While the Gallery does not actively collect animal specimens, it does preserve for the university a zoological collection that was used in past generations by faculty and students for teaching and study. Some of the specimens in this historic collection date from the late 1800s and early 1900s and were obtained from sites in and around Chapel Hill.